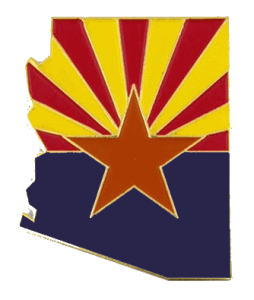 Requires school districts and charter schools to use monies generated by the K-3 reading support level weight only on instructional purposes based on the K-3 reading program plan submitted to the Arizona Department of Education (ADE). Requires best practice examples be evidence-based and selected from school districts and charter schools that: a)demonstrate improvement on third grade reading proficiency; and b)represent school districts and charter schools in demographic composition, including rural and urban, size and student characteristics. Changes the Early Literacy Grant Program Fund to the Early Literacy Program Fund and requires ADE to award funds to eligible schools, rather than award grants on a three-year cycle, on a per pupil basis, calculated using the student count for pupils in kindergarten programs and grades one, two and three. Requires monies be used to expand, enhance and support the components, rather than supplement and not supplant activities, in a school’s reading program plan. Requires eligible schools that receive funds from the Early Literacy Program Fund to submit data on expenditures, results and other information. Requires the notification to instruct the parent to choose, in consultation with the student’s teacher, the most appropriate intervention and remedial strategies. Requires diagnostic information to be used to plan evidence-based, appropriate and effective instruction. Includes coaching in the reading trainings or professional development offered by ADE. Specifies the K-3 reading program plan administered by school districts and charter schools must be evidence-based.